Hehe with Christmas in less than 4 days now I noticed there might be a rise in Art surrounding it. So I'd bank on that maybe and see what I could make. Here's the Sorcerer none of you have met yet~ Oh!- HOO HOO HOOOOO! !~ Happy Hearths Warming My sweet little Ponies. I hope we'll all get to know one another Well in the days to come. Otherwise Umekile here is gonna pay you all a Dastardly visit. Krampus Style. With birch branches, chains and Coal! huh. 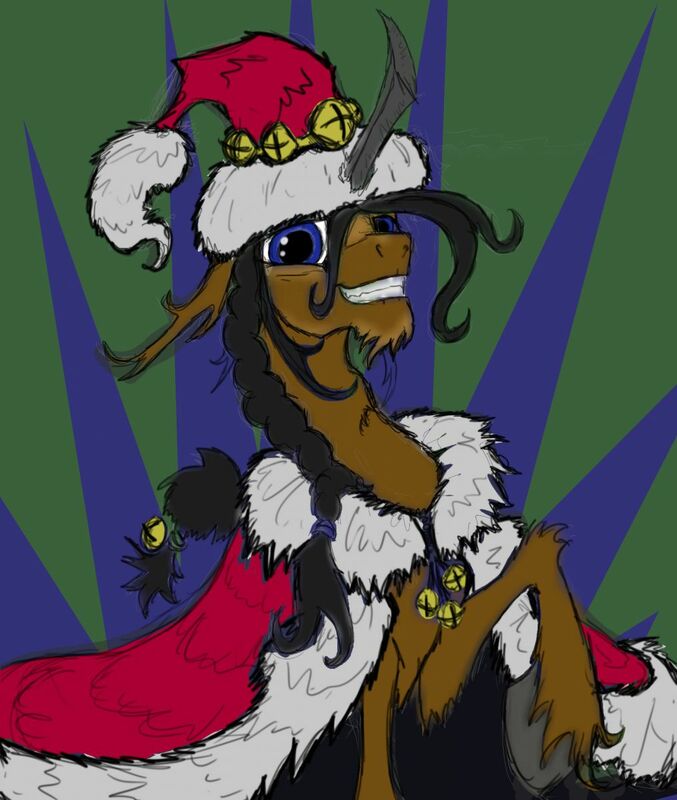 christmas wizard.... now THAT would be fun to RP with!